The North side of Denton just got a little more caffeinated with the opening of Golden Boy Coffee Co. serving up coffee and pastries during their soft opening earlier this week. They are expanding their hours next week and then moving to full service, adding cocktails to their offerings. 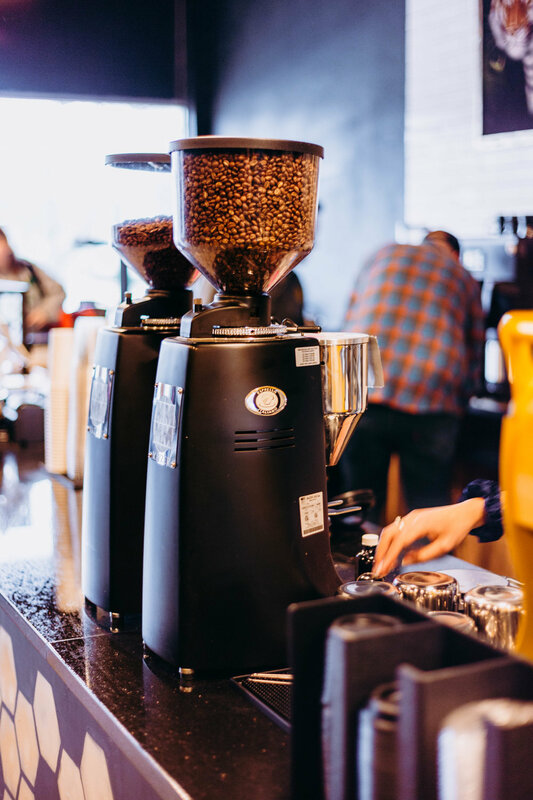 Owned and operated by baristas Andy Cunningham and Trey Suire, this business venture is brought together by two complementary personalities creating quite the duo. Suire is focusing on back of house and accounting while Cunningham uses the creative side of the brain with coffee while focusing on training bar staff and quality control. They wanted to create a barista’s coffee house and bartender’s bar — where one can escape, indulge, and imbibe. Next Monday, the operating hours will move to 6 a.m. to 4 p.m. during the week and 7 a.m. to 4 p.m. on the weekend. The aesthetic of the shop is popped with gold, and local art already covers the walls. The darker atmosphere creates a more relaxing environment than the stark white walls of a typical coffee shop, and the spacious location is perfect for both the come-and-go cup of joe and small gatherings, or even a business or client meeting. Cunningham's wife, Storie, is running things in the kitchen, cranking out simplified pastries that are low on fuss and big on flavor. Scoop up a cranberry orange scone with white chocolate or a mixed berry lemon muffin to go with your espresso. We even heard a whisper that pies are in the future, and who doesn’t love pie? Staying true to their Texas roots, you can expect a rotation of Texas coffee roasters, a tap with Texas-forward beers, and a selection of Texas liquor. 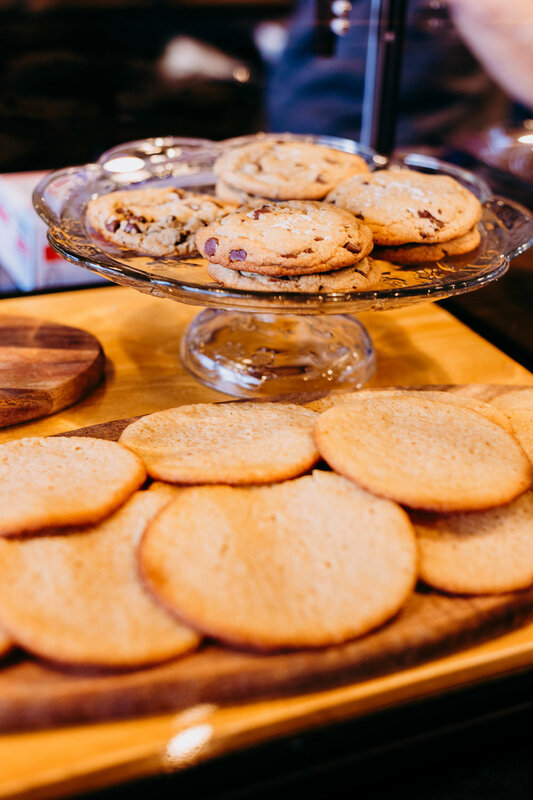 GBCC will also offer some retail featuring local jerky makers and pickled items, and tasty Dutch cookies from Stroopwafel in Austin. A regular cycle of local art will continue to decorate the walls, but they are also excited to celebrate the creative and music communities in Denton. “When scouting locations from Argyle to Frisco, we decided to bring the concept home to Denton. At home we have the support of the community and utilize everything Denton has to offer,” Cunningham said. With a successful soft opening under their belt, it appears Denton is ready to welcome these golden people with open arms. Make sure to check out the Golden Chai with turmeric and, once bar service begins, the Gold Fashion made with honey simple and orange blossom water. Stay tuned to their social channels, facebook and instagram, as they work towards a full service schedule.